Last year, I dedicated a love letter to Tamara de Lempicka. 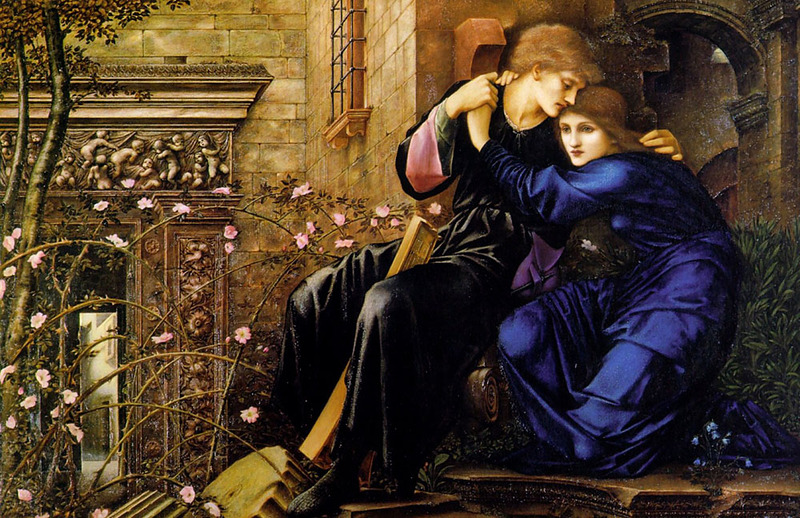 Having been to the Pre-Raphaelites exhibition at the Tate Britain twice recently, I feel compelled to follow this up with another love letter to an artist, this time to Edward Burne-Jones. 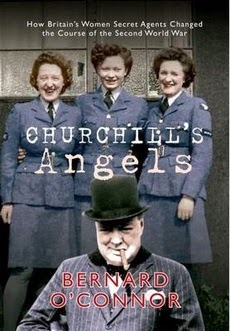 His works were stand outs for me in an utterly wonderful exhibition. Until this, I had really only been familiar with his work as a stained glass artist (such as the windows seen in my recent post). 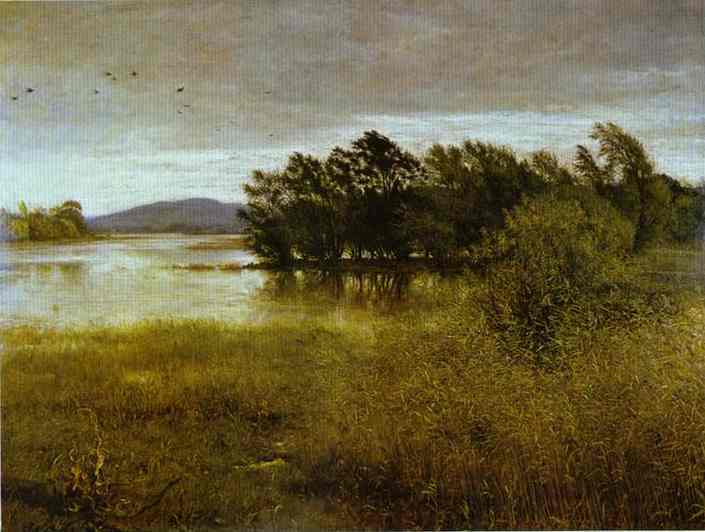 His paintings were a revelation though. They were so incredibly beautiful, I felt rather emotional and overwhelmed. I was entranced by their exquisite detail and wonderfully rich colours. 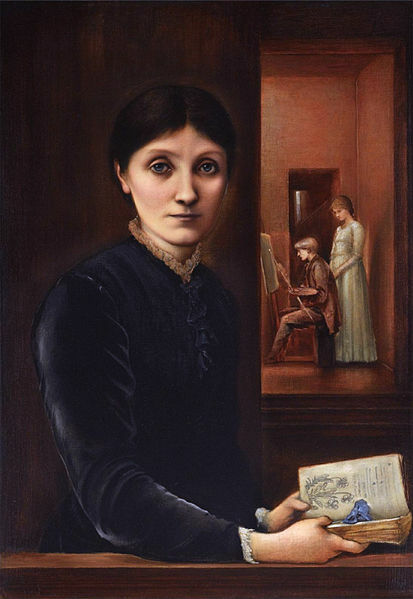 I think the Burne-Jones paintings particularly stood out because they felt, stylistically, like a breath of fresh air at their first appearance more than halfway into the exhibition. By that point, the work of some of the prevalent artists who had been with us from the beginning had begun to feel slightly hazy around the edges, too familiar and safe and sentimental. 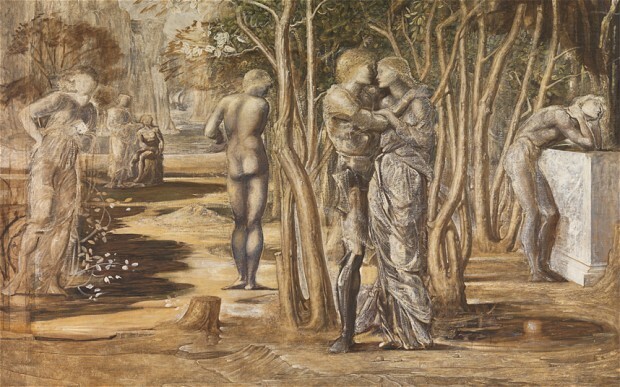 Even though Burne-Jones's most striking paintings didn't come until the last room, the appearance of his first painting caught the eye with its distinct palette and lines, which felt somehow different and bolder. To me, Burne-Jones seems to be heralding the beginning of Art Noveau with his figures and with the delicate and exquisite facial features of his subjects, verging towards an angularity which Rossetti would not even dare consider. His ever so slightly sinister but compellingly beautiful paintings feel almost like a whisper of things to come, a prelude to artists such as Harry Clarke and Aubrey Beardsley. But there was, of course, more to the exhibition than just Burne-Jones. The angle the Tate went for was to illustrate how the Pre-Raphaelites were avant garde in their time, young upstarts rebelling against the conventions that had come to dominate the Victorian art world, bringing "a new beauty and intensity of vision to British art". That they caused a stir amongst their contemporaries is easily forgotten when their famous works have been reproduced a million times over and feel so quintessentially English and polite today. (And, in fact, it is even disheartening looking at the reproductions I am including in this post, as they distinctly lack the punch of the originals, as details are lost and colours muted). The exhibition commentary does pick up the main ideas of the movement though, how these flew in the face of convention and reacted to changes in society. It takes a vaguely chronological approach, beginning with the origins and then devoting the next few rooms to different themes. 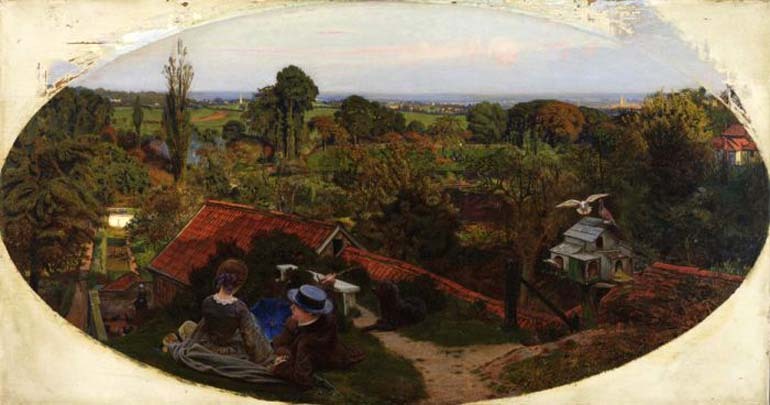 It traces the gradual move into the Aesthetic movement ("art for art's sake") including the appearance of Morris and his decorative arts, before finishing with the diverging paths of the Pre-Raphaelites in the last decades of the nineteenth century. What I found most interesting about the exhibition was actually identifying the different styles of the artists that come under the umbrella of the Pre-Raphaelites, and the different directions the individual artists went in over the course of their careers. 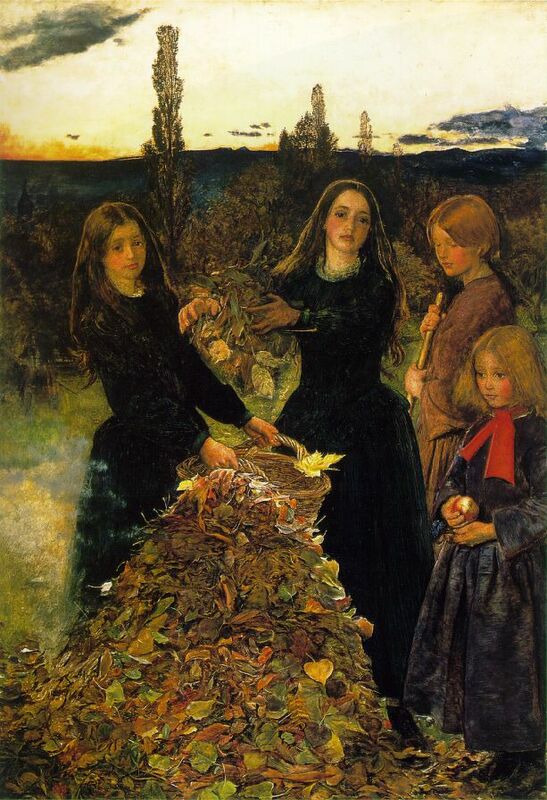 Aside from the revelation of Burne-Jones's paintings, Millais was confirmed as a favourite - from his deservedly famous Ophelia with its tragic beauty and astounding level of detail, to the wild, wide, unpopulated Scottish landscape of Chill October, via the simple beauty and natural richness of an everyday scene such as Autumn Leaves. I also confirmed that I'm really not particularly a fan of Rossetti, though he sometimes surprises me, and I discovered that Holman Hunt leaves me cold and occasionally mildly disturbed by the almost grostesque visages of the characters in his strangely cartoonish, hyper-coloured paintings. Probably the only exception to this was the lovely Isabella and the Pot of Basil. Overall, though, a wonderful exhibition. I've come out with a better grasp of my individual Pre-Raphaelite artists, and it is a marvellously indulgent and aesthetically satisfying way to spend several hours. Heya, well watched! Nice to read your take on this exhibition after seeing it myself. Glad you enjoyed reading my take on it. Likewise with your post! Very interesting observations, Miss Marie. 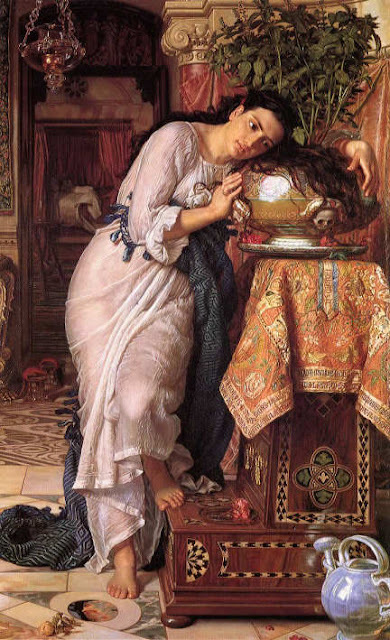 Did they have Holman Hunt's Lady of Shalott? It's quite incredible and dramatic with her swirling hair and tangled in her tapestry threads. Wallis's Chatterton always breaks my heart - that poor boy! No Waterhouse?! He is my favourite. I'm drawn to his paintings even before I know they are his. 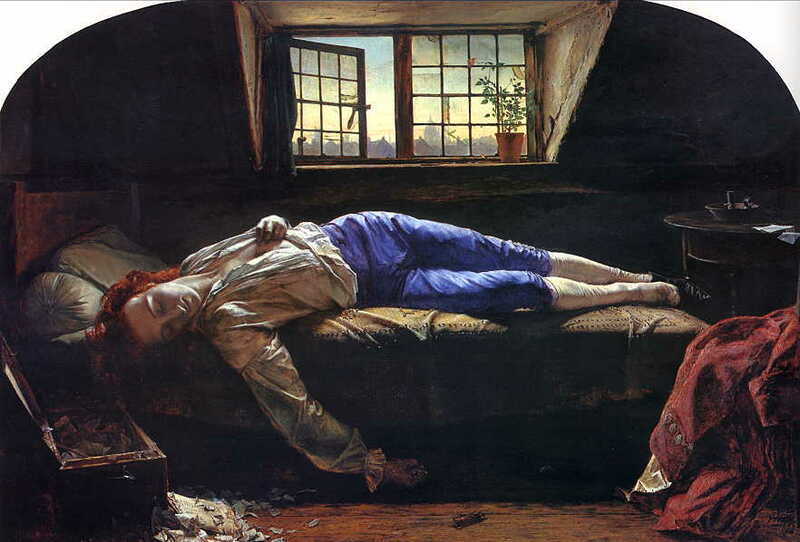 Apparently he was greatly influenced by your Millais. You are right about the myriad reproductions of the more famous works. My book has ones I've never seen elsewhere, but are truly beautiful. Enough so to move me almost to tears and exclaim to the empty room "But they are SO beautiful!" Thank you for stirring this again. They did indeed have Holman Hunt's Lady of Shalott. Perhaps I should have inspected it more closely but unfortunately it was vying for attention in the same room as many Burne Jones paintings so it was an unfair battle. But no, no Waterhouse! That dawned on me after my first visit. Nor was there any Leighton. 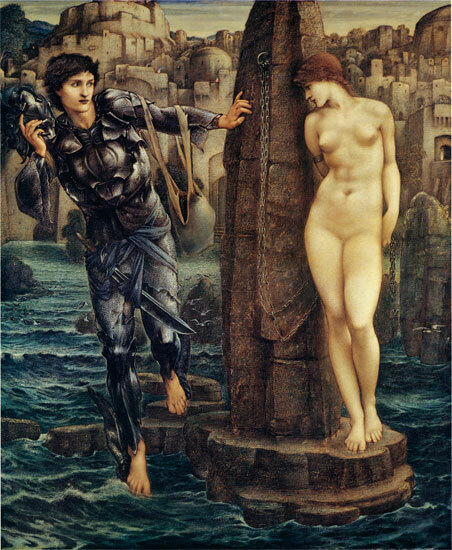 I would generally associate them both with the Pre-Raphaelite style but I'm no art historian... Perhaps they are considered to be the next wave that followed soon after the Pre-Raphaelite Brotherhood, rather than an intrinsic part of the movement? The exhibition was focusing on the avant-garde nature of the Pre-Raphaelites and maybe artists such as Waterhouse, being that little bit later, didn't qualify as suitably revolutionary? Ah, and yes, your exclamations to empty rooms sound very much like my reactions to some art! Sometimes it's too much to keep in, even if there's no one to hear you.